Transport Minister Conor Murphy MP, MLA today met with Stewart Stevenson MSP, the Scottish Minister for Transport, Infrastructure and Climate Change. Speaking after the meeting in Edinburgh Minister Murphy said: "Co-operation and communication at Ministerial level are important to maintaining and improving transport links between the North of Ireland and Scotland. “The joint communiqué signed following the visit by Scottish First Minister, Alex Salmond, to the North of Ireland last year, contained a commitment to strengthening co-operation between our two devolved administrations. I therefore welcomed this opportunity to meet my Scottish Ministerial counterpart. “The focus of our discussion today was on transport links across the North Channel. Good transportation routes beyond the sea ports in the South West of Scotland are vital to the North of Ireland. They are important not only for the economy in the efficient transport of freight and by facilitating tourism, but also for the great number of people visiting friends and relatives or travelling to sporting events. As we discussed today, they are also important for the economic regeneration of this part of Scotland. “I welcomed today, the opportunity to hear of the Scottish Government’s plans to upgrade the road network out of these ports and to improve the rail service out of Stranraer. I was also reassured to hear of the long-term priority which the Scottish Government attaches to the transport link across the North Channel." Issues discussed in the meeting included the railway services from Stranraer, trunk road links from the Loch Ryan ports of Stranraer and Cairnryan, the A75 to Carlisle and the A77 to Ayr / Glasgow. A £250,000 grant to develop a rail facility to improve freight handling between Rannoch and Irvine will remove 180,000 lorry miles per year from Scotland's roads. The Freight Facilities Grant (FFG) jointly awarded to UPM Tilhill and CSP Forestry will allow for the movement of 120,000 tonnes of timber by rail from Rannoch to Irvine over the next eight years, delivering real benefits for Scotland's environment. "I am delighted that UPM Tilhill and CSP Forestry are using Government funding to work together and switch so much heavy freight from road to rail. "As a Government we are committed to getting more freight off Scotland's roads and onto rail and water. By taking more lorries off our roads this funding will help ease congestion and reduce damage to the environment. It will also benefit local tourism by removing timber lorries from the narrow scenic roads around Loch Rannoch and Loch Tummel. "These projects make an important contribution towards achieving our ambitious target of reducing Scottish emissions by 80 per cent by 2050. This target is twice as ambitious as the UK target and signals Scotland's serious intent to lead the global effort to combat climate change. "I would like to encourage more Scottish businesses to think about their freight priorities and how these impact upon the environment. If we want to tackle the effects of climate change, it is clear we all need to take action. The freight industry can play its part by taking advantage of this funding as moving more freight away from our roads will be good for the environment and greatly reduce congestion." Peter Whitfield, Timber Operations Director, UPM Tilhill, said: "UPM Tilhill is pleased to have been awarded this grant. Enabling the transport of harvested timber by rail reduces the impact on local communities, and makes good use of the existing infrastructure. "The Freight Facilities Grant enables both UPM Tilhill and our partners to carry out harvesting operations in a timely and sensitive way. The timber will be delivered to Scotland's newest CHP (combined heat and power) Plant at Caledonian Paper." The joint award of Freight Facilities Grant (FFG) to UPM Tilhill and CSP Forestry is for £250,900. Awards of grant are £192,300 to CSP Forestry and £58,600 to UPM Tilhill. The award to CSP Forestry is for mobile and handling equipment for the movement and loading of timber on to the train, and the grant to Tilhill is for the provision of a rail line-side loading facility. UPM Tilhill has been contracted by the Forest Enterprise to manage the harvesting of the timber in the Barracks Block forest area at the western end of Loch Rannoch. CSP Forestry Ltd are a small family-owned business who have been sub-contracted by UPM Tilhill to do the on-site hauling and loading work of the timber on to the trains. The timber is to be transported by the rail freight operating company, Colas, to a timber processing facility at Irvine. Banff & Buchan MSP Stewart Stevenson today voiced his support for the SNP Motion at Westminster calling for fair play on Vehicle Excise Duty (VED). Under an SNP amendment introduced to the Finance Bills in the House of Commons the rate of VED for working vehicles, such as those used by farmers, gamekeepers and mountain rescue volunteers, would be pegged to the lowest rate. “The Treasury’s increase in vehicle excise duty on 4x4s directly and unduly hits rural areas where workers use four-wheel-drives out of necessity. Farmers, gamekeepers, and even mountain rescue volunteers, use four-wheel drives because they are practical for rough terrain and towing, not because of how they look when they do the school run. “This amendment is about common sense for VED on working vehicles, and fair play for workers in rural areas who are already reeling from sky high fuel prices. While there is a real issue of raising duty on four wheeled vehicles that are used in an urban setting with no real need for the high emission emitting engines we need to protect those who use these vehicles out of necessity in their daily working environment. A new park and ride scheme, complete with spaces for 561 cars, was opened today on the outskirts of Edinburgh. "This is a fantastic new facility at Sheriffhall which will not only reduce the number of cars on our roads network, it will deliver real benefits for our environment. "Over 500 cars a day will now be removed from the important roads linking our capital city with the Lothians. "In the current climate, that is all the more important. Whilst there are ample fuel supplies to last us well into May despite industrial action at Grangemouth, there is an opportunity for us all to do our bit. "People across the country have the chance to think about their travel habits, and take advantage of great facilities like this one - limiting the use of their car in favour of public transport. "They might even find that they prefer it. I have spoken to many commuters who say that using park and ride facilities has led to reduced daily stress, saving them the frustration of being caught up in rush hour traffic. "Reduced congestion, fewer cars on our roads, and a less polluted environment - this facility, and others like it across the country, will deliver real benefits for Scotland." Banff & Buchan MSP Stewart Stevenson, along with other Scottish National Party politicians, is demanding assurances that ID cards will not be introduced by the back door.Mr Stevenson’s comments come after the SNP questioned Scottish Secretary, Des Browne, on the issue. 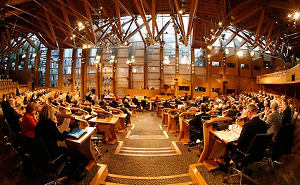 The questioning highlighted the widely held concerns of Scots over the government's proposals for ID Cards. In his response the Scottish Secretary failed to dismiss concerns over the cost of the proposals, the effectiveness of the proposals or whether Scottish students could be used as "biometric guinea pigs". "A large number of students have voiced their concerns against the possibility of being forced into adopting biometric ID and not only is the government insisting on pressing ahead with this policy but have not denied that they may be considering trialling out the system using Scottish students. "The Scottish Government and the Scottish Parliament have made clear that ID cards are unwanted and will certainly not be required for devolved services. UK Ministers should respect that, and Scottish students must not be forced into taking ID cards by stealth. "It seems students have particularly been targeted by the UK Government, and they must not be compelled into taking ID cards for securing bank accounts or student loans. "The loss of personal data from various UK Government departments, and the fact that experts tell us that that ID cards will do nothing to improve security, underlines exactly why people are against the introduction of an ID card scheme. Banff & Buchan MSP Stewart Stevenson has warmly welcomed figures which show a record level of installations under the Government's Central Heating programme. The latest figures show a 69% increase in the number of installations between 2006/07 and 2007/08 in Aberdeenshire. In 2006/07 there were 581 compared to 983 in the last recorded year when the SNP Government came to office in May 2007. In addition extra funding from the Scottish Government has helped to reduce the national waiting list from 11,300 in November to 9,300 by the end of March. "We live in one of the coldest countries of Europe, a factor that causes a lot of hardship to low income families and in particular the elderly. The increase in the number of people having central heating installed in their homes will work to create more effective heating systems and alleviate the effects of the cold for many in Banff and Buchan. “When the SNP came into Government our focus was ensuring that all Government agencies and sponsored programmes would work more efficiently and at the same high pace that we are taking in running the country. “Under our stewardship we are delivering for Scotland and the record level of central heating installations is another reflection of this. This is excellent news for people in vulnerable households in Banff and Buchan and throughout Scotland. During the cold winter months it is especially important that older are able to heat their homes in a way that is efficient and affordable. Banff & Buchan MSP Stewart Stevenson today applauded the urgent task force put together by the SNP Government to examine the problems facing Scottish pig farmers. The task force has been formed as a matter of urgency to consider possible actions to assist the pig sector in light of concerns raised by local farmers that the sector has been in sharp decline. Factors behind this decline have been rising feed costs, lower quality of imported pork as well as a lack of compensation for costs incurred due to the foot and mouth outbreak. "The difficulties facing our pig farmers is one that needs urgent appraisal to proceed with effective targeted action and this is what the task force aims to achieve. The Cabinet Secretary for Rural Affairs and the Environment, Mr Lochhead has been working closely with stakeholders representing all parts of the supply chain on the difficulties faced by the pig sector and is looking at all avenues in which to reverse decline in the industry. "There has also been several meetings with industry representatives and action with regards lobbying both the UK and European Parliaments on the part they can play in assisting the industry. We are acutely aware that the main worry for Banff and Buchan’s pig farmers has been the rising cost of grain which has almost doubled in the past year and lower standard of pork from the continent creating unfair competition. "There are a number of avenues the Scottish Government is looking at under this taskforce including a vaccination programme for pig wasting disease, more transparency and improved labelling of imported pork, the resurrection of the ‘ongoers’ scheme offering subsidized loans for producers and government insistence on procuring only Scottish produce in their contracts. "The problems faced by the Banff and Buchan pig farming industry is an issue of urgent concern for the Scottish government and I am confident this task force will find real solutions to what are pressing concerns. Banff & Buchan MSP Stewart Stevenson today applauded the announcement that a new foreign language website is to be created to assist foreign buyers looking at purchasing fish produce within the Scottish Fishing Market. The Seafood Scotland website recently launched at the European Seafood Exposition in Brussels is one that intends to simplify the sourcing of Scottish seafood. This is to be done by providing up-to-date information, translated into French, Italian, Spanish, German and Russian. This is a practical and low cost means of promoting Scotland’s high quality sustainable sourced fish produce across the European continent and beyond. There is an increasing consumer demand for environmentally sound produce and we aim to support the Scottish Fishing Industry to tap into this market. High quality sustainable seafood is what Scottish Fishermen do best. Through the Seafood Scotland's website information will be readily available in multiple languages highlighting the standards the Scotland's fishing fleet adhere to. Through making the buyers and consumers increasingly aware that Seafood Scotland guarantees the high quality and sustainable produce they are looking for we intend to turn our strengths into economic advantage. While the fishing industry has had its problems in recent decades due to the failed Common Fisheries Policy we need to use all available means to allow our fishing fleet to open up markets. By highlighting the standards the Scottish Fishing Fleet adhere to in a number of languages we want to create the situation whereby the translation of Scottish fish becomes sinominous with high quality, something we in Banff & Buchan are already well aware of. Banff & Buchan MSP Stewart Stevenson today slammed Gordon Brown’s Labour Government for the scrapping of the 10% tax rate on low income earners. From April 6th all wage earners will pay 20% tax on any earnings over the income tax allowance threshold currently sat at £5,225. This policy has come under harsh criticism in Scotland as figures show that 324,000 people in Scotland or 12% of all Scottish tax payers will see their tax double. With those earning up to £18,500 per annum set to lose out it will be seen as a bitter blow to many in Scotland where average earnings are lower than large swathes of the UK. “In a week that sees the SNP Government promising a freeze in council taxes and a reduction in prescription charges aimed at reducing hardship on the most vulnerable sections of society such as the old and sick we see the Labour Party doing the opposite. “With many of the residents of Banff & Buchan facing low average earnings due to the economic challenges faced by our coastal and rural communities this rise in tax will be a bitter pill to swallow. While the SNP Government is keen and active in putting more money back into the pockets of ordinary Scots it seems the Labour Party is keen on taking it back off them. Banff & Buchan MSP Stewart Stevenson has condemned BT over plans to remove local phone boxes. Mr Stevenson has spoke out on the news that BT intends to carry out what it describes as ‘payphone rationalisation’ that will see a reduction in the number of payphones in local areas. “While there has been a significant drop in the usage of payphones in recent years I would strongly urge BT to rethink any move to close local pay phones in the Banff & Buchan area. It is in rural areas such as Banff & Buchan where there is still very much a latent need for local phone boxes as mobile phone coverage is limited. This ensures that payphones still remain an important emergency aid as well as means of everyday contact. “BT seems to forget that maintaining local payphones was a key condition of its privatisation in recognition of a need to create a balance between profitability and accessibility. It seems to me that BT are looking to tilt this balance even further in the favour of profitability that will act to downgrade rural services in my constituency. The need for local services such as local payphones is a pressing concern for my constituents and I aim to make their voice heard. Banff & Buchan MSP Stewart Stevenson today claimed that the rising support for independence in Scotland is down to the SNP Government proving to be more effective in governing the nation than the previous Labour Lib Dem coalitions. Mr Stevenson’s comments come off the back of the latest poll showing 41% of Scots in favour of independence with 40% against. “It has come at no surprise to us that there is increasing support for independence on the back of our first year in power. We are showing the people of Scotland that the most effective form of governance is to have a party in power that does not have split allegiances like that which is seen with the multiple nation parties whose focus is South East England. .
“The interests of Scotland are distinct not only from those of Wales and Northern Ireland but also that of the North, East, South and West of England. The public are increasingly recognising that the best form of governance is under a party that does not have split allegiances and internal party conflicts, a party that by being free from toeing the party line dictated from London can make decisions solely based on the national interest of Scotland. “We ran a positive campaign during the Scottish elections putting forward our vision for Scotland, a manifesto that really struck a cord with the Scottish electorate. Since coming into power we have worked hard at fulfilling our manifesto and the benefits from policies such as lowering business rates and looking to create a new relationship with local government are now being recognised. “Our policies and competence in governance are such that support is being generated not only among the Scottish public and business class’ but within the Labour Party. With Henry McLeish coming out in support of the SNP’s National Conversation to the recent call by the Labour Councillor and President of COSLA (Convention of Scottish Local Authorities) Pat Watters to support the SNP’s local authority reforms we are seeing recognition of our achievements across the board. When you have a Labour councillor describing the SNP’s new local authorities concordat as ‘a bold and ambitious step’ you know you are doing something right. Banff & Buchan MSP Stewart Stevenson has welcomed the announcement by the Scottish Government of the opportunity to win one of the biggest international innovation prizes in history through its plans for the Saltire Prize. The Saltire Prize is one that will entail a £10 million challenge prize for those offering advances in clean energy. The Saltire Prize draws inspiration from great innovation prizes of the 20th century such as the Ansari X Prize that led to the first private spacecraft launch and more recently the Virgin Earth Challenge which came up with a way to remove CO2 gases from the atmosphere. The Saltire Prize is one that will aim to put the spotlight on Scotland’s critical work taking place in clean energy and further highlight its vast reserves of renewables potential. "This is a fantastic stimulus to the world’s scientific elite and one which puts Scotland on the world stage as a leader in promoting ground breaking innovation in green energy. Such prizes create a real intellectual buzz and new opportunities for further research and development. In the North East we are in a great position to harness research and development investment due to the already prevalent world reputation that the region has as a hub of expert energy knowledge. “With Banff & Buchan on the edge of the North Sea an area with vast marine energy potential and one where expert knowledge of the energy sector is not wanting we can stand to benefit from harnessing Scotland vast renewables potential. With 25 per cent of European tidal power and 10 per cent of European wave power we are in the position to be a real world leader. Banff & Buchan MSP Stewart Stevenson today called on Gordon Brown to stick up for Scotland’s fishing industry on the news that changes to European fisheries regulation could potentially lead to a tide of foreign fisherman heading to the North Sea. Under the European Commission proposal which received backing from the European Parliament yesterday (10 April) any unused UK fishing quota could be given to other major fishing nations. Under the proposal this could see the relocation of fishing quotas to countries such as Spain who would then be free to fish in Scottish waters. “The lack of support we have received from successive Westminster Governments with regards the Common Fisheries Policy has had a devastating impact on the fishing industry in my constituency of Banff & Buchan and I call on Gordon Brown to stand up for Scotland by coming out against this new proposal. “The fishing industry still remains the lifeblood of many communities in Banff & Buchan despite its decline in light of the failed EU fishing policy. The implementation of this proposal would lead to further hardships for the industry. “With Scotland recognised as a region rather than a nation we have the same number of MEP’s as Luxembourg and no representation in the Council of Ministers. This has meant reliance on the Westminster government to voice our concerns on EU policy. With protecting the Scottish fishing industry not a big vote winner in Westminster elections the Scottish fishing sector has been treated as an expendable commodity when it comes to shaping EU legislation. “This we have recently seen in the shaping of the Lisbon Treaty. While the SNP has fought against the continuation of the Common Fisheries Policy as one of only 4 'exclusive competences' being recognised in the Treaty these calls have been ignored by Gordon Brown who has been more interested in seeking concession in other areas. “While Westminster will no doubt continue to be indifferent to our calls we will look to work within our limited powers to make our voice heard and push for favourable change such as the deal brokered by the SNP government in December which gave Scotland the power to decide how fishing days at sea should be shared out. With Fraserburgh the second biggest white fishing port in Europe it is imperative that we keep a close eye on what is happening in the European Union. While we are being well informed by our two SNP European Politicians Alyn Smith MEP and Ian Hudghton MEP who continue to stand up for Scottish Interests in Brussels we also need to call on the Labour Government at Westminster to do the same..
A Public Local Inquiry will be held to hear objections to plans for an upgrade to a key section of the M8 motorway linking Glasgow and Edinburgh. The M8 Baillieston to Newhouse seeks to upgrade the eight mile stretch of trunk road between Baillieston and Newhouse to full motorway standard, completing the M8 between Scotland’s two largest cities. Transport Scotland has recently published the Draft Orders for the scheme and the holding of a Public Local Inquiry marks the latest milestone in the development of the project. Transport Minister Stewart Stevenson today confirmed the Public Local Inquiry will start on 1 July 2008. "This is the latest milestone in the statutory process and a Public Local Inquiry is not uncommon on projects of this scale. We will continue to seek to resolve objections through negotiation until the start of the Inquiry. "Local communities close to the upgraded section of the M8 will benefit from improved links to Scotland’s two biggest cities. The proposed route will ease congestion between Glasgow and Edinburgh, and improve safety on one of the country’s busiest routes." The project, alongside schemes to complete the M74 and the section of the M80 between Stepps and Haggs, will complete Central Scotland’s motorway network. The construction cost for the M8 upgrade project is estimated at £170 - £210 million and it is anticipated to be completed by 2012/2013, subject to the successful outcome of the statutory process. Scotland’s national transport agency Transport Scotland has taken the innovative step of mapping its own carbon footprint to help reduce its emissions. The Agency’s Travel Plan is the first in the UK to set its targets in this way. While more than eight out of 10 Transport Scotland staff already travel to the headquarters in Buchanan House in Glasgow via public transport, by bicycle or on foot, the agency is aiming to reduce its carbon emissions even further. The aim of the Travel Plan, developed with assistance from transport planner JMP, is to "measure, monitor and minimise the greenhouse gas emissions from travel by Transport Scotland employees". Transport Scotland is aiming to reduce its total annual carbon footprint by eight per cent - or 35,000kgCO2 - over the next two years, by making fewer commuter and business rail, car and air journeys. "This Government is committed to promoting a sustainable future by tackling greenhouse gas emissions. Travel Plans are ideal tools to reduce emissions from staff travel. "I am delighted to see Transport Scotland mapping its own carbon footprint and setting ambitious but realistic targets for reducing its impact on the environment. "By seeking to reduce its greenhouse gas emissions over the next two years, Transport Scotland is aiming to cut the carbon equivalent of taking an aeroplane trip six times around the world." * Business journeys by rail between Edinburgh and Glasgow by 20 per cent, equivalent to each employee reconsidering four journeys every year. * Scotland-London air journeys by 20 per cent, equivalent to cutting 34 return trips. One of the principles underpinning the plan is ‘the greenest mile is the mile not travelled’ and greater use of video and telephone conferencing will play a significant role in reducing journeys. Staff are also being encouraged to work from home more, if appropriate, and incentives have been introduced to help staff make the switch from car to bicycle power. The Travel Plan has been developed to outline a clear travel policy, which is in line with current Scottish Government travel policies and follows on from the Scottish Government Travel Plan published in December 2007. These travel plans are part of the much wider Scottish Government Climate Change Action Plan, which seeks to reduce the carbon emissions of all Government operations. "It is fantastic to see Transport Scotland providing leadership in this way. "Transport has to be included in the debate if we are truly to tackle climate change and Transport Scotland has shown that real reductions can be achieved with the right measures." The full Travel Plan is available on the Transport Scotland website at www.transportscotland.gov.uk. Banff & Buchan MSP Stewart Stevenson today welcomed the SNP Government’s new guidance proposals on autism. This new guidance is one which aims to improve those services which identify and support children and young people with autism. The advisory proposal, which coincides with World Autism Awareness Day, will offer best practice examples as well as recommendations including awareness training for all staff and facilitate people with autism in the planning of such services. One aspect of the new guidance is the development of an Autism Toolkit to offer guidance to education authorities and schools in identifying and supporting children and young people with autism. The Autism Toolkit is due to be launched later this year. “Fundamental to ensuring that those with autism and their families receive the necessary support is one which centres on raising awareness of the behavioural characteristic of autism in children and young people. “With autism a lifelong learning disability which occurs in varying degrees of severity, it is often difficult to recognise symptoms in those who suffer from a milder form. The impact of this can be devastating on children and young people who can suffer from social exclusion and bullying at school. “This is why I am particularly looking forward to the publication of the Autism Toolkit to give guidance to education authorities and schools. Identifying autism in children and young people is essential in the provision of strong support networks as they grow and develop. “It must not be forgotten however that we need to increase awareness of autism not only in children but also in adults. In this respect I refer to the “I Exist” campaign by the National Autistic Society in Scotland that is doing great work in raising awareness of issues surrounding adult sufferers of Autism. Improved rail services during the Commonwealth Games in 2014 is just one of the major benefits secured for rail passengers across Scotland as part of a deal to extend the First ScotRail franchise, announced today. As part of the three-year extension to November 2014, over £70 million will be returned to the Scottish Government to be spent on a host of new services and other enhancements for users of the Scottish rail network over the life of the franchise. These include extending express services between Edinburgh and Glasgow and additional early morning services to allow passengers from Dumfries, Gourock, Ayr, Kilmarnock, Dunblane, Perth and Kirkcaldy to connect to services arriving in London before noon. fund” to encourage small businesses and local communities to make the best use of empty station buildings. "I am delighted to announce this agreement reached between Scottish Ministers and First ScotRail which brings significant benefits to passengers and delivers value for money for the taxpayer. "It provides further incentive for the operator to continue to grow Scotland’s railways but, importantly, protects passengers by introducing a cap after which a percentage of profits will be reinvested in services. "This agreement has secured performance levels for the remainder of the franchise term and will see more than £70 million being returned to the Government for reinvestment over the same period. "A set of exciting and varied initiatives has been secured at best value which we will implement as efficiently as possible over the life of the franchise." The extension is down to the success of First ScotRail in delivering levels of performance above and beyond those set out in the original franchise agreement. It also provides an opportunity to build on these performance levels by using them as the benchmark for contracting future performance. Mary Dickson, First ScotRail's managing director, attributed the franchise extension to the dedication of the First ScotRail team in delivering improvements and exceeding targets in areas such as punctuality and passenger growth. She said: "I am delighted for our staff and our customers who will see real benefits from the franchise extension. "It is a fitting tribute to the ongoing transformation which has seen improved performance, with a 50 per cent reduction in delays, and a 19 per cent increase in passenger numbers. "We will now build on these successes with even more investment in Scotland's railway. Customer benefits will range from new train services and improved journey times to enhancements at stations. "I am also delighted we will be involved in providing transport for the Commonwealth Games in 2014." "Scottish commuters and business users will welcome the benefits of services starting earlier and finishing later in the day from a variety of locations in Scotland to improve long distance connectivity, an extension of the 15 minute frequency between Edinburgh and Glasgow and additional services from Inverness." Plans to improve ferry provision on the island of Lismore took a step forward today when it was announced that an economic appraisal looking at future ferry priorities for the island is to be carried out. This will include looking into the possibility of introducing a vehicle service at the north end of the island. The study will be carried out using the Scottish Transport Appraisal Guidance (STAG) system. "The local community have been campaigning for the introduction of a vehicle ferry service at the north end of the island for some time and we have listened to those views. "There has been much debate and deliberation among locals about the form and location of ferry services to the island, with many believing it would bring economic benefit to introduce a shorter journey vehicle service from the north end of the island. This appraisal will examine that case. "The STAG appraisal should be completed by spring next year, at which point Ministers will consider the evidence and make a decision on future ferry services for Lismore." Lismore is currently served by two ferry services - CalMac's passenger and vehicle service operating from Oban to Achnacroish on the east of the island, and the local authority run passenger-only service running at the North of the island to Port Appin on the mainland. The STAG appraisal will be led by Caledonian Maritime Assets Ltd (CMAL) given the focus of the appraisal will be be on vessel and harbour infrastructure, with input from CalMac Ferries Ltd, Argyll & Bute Council and the local community. Banff & Buchan MSP Stewart Stevenson today welcomed the introduction of the SNP Governments Small Business Grant Scheme. Under the new Governments policy to be rolled out from April 1 a new rates relief for small businesses will be introduced in Scotland. Business rates relief will be determined by a firm’s rateable value. Those businesses with a rateable value of £8,000 will expect to receive 80% relief, with that rising to 100% by 2009. Those businesses with a rateable value of £8,000 to £10,000 a year will receive rates relief of 40% while firms with a rateable value of between £10,000 and £15,000 will get 20% off their bills. The Small Business Grant Scheme is a key part of the SNP Manifesto pledge to support small businesses, a sector it recognises as being faced with a disproportionate rates burden. The Small Business Grant Scheme is one which it intends to work as part of a wider economic strategy to support the small business class and boost economic growth. "Small businesses are fundamental to the economic well being of Banff and Buchan as a source of entrepreneurship and innovation, a driver of competition and local economic vibrancy and as a mechanism for job creation. Small businesses have traditionally played a vital role in maintaining and strengthening the rural communities and in Banff and Buchan we have seen this reflected in the role they play in stimulating the wider rural economy. "Under previous administrations there has been a tendency towards ineffectual posturing with respect to supporting small businesses and this scheme will act to reverse that trend. This scheme which will be rolled out on April 1 2008 is targeted to deliver a real boost to small businesses in Scotland. "Under the new scheme small firms will only have to apply for grant relief once every five years as long as the circumstances of the business have not changed. This aims at ensuring small business can avoid wasting valuable time and resources filling out application forms every year. We are sending information leaflets out to all businesses in Scotland on the scheme with information also available at the Scottish Government website. "The small businessman of Banff and Buchan can rest assured that the SNP Government is working hard within the limits of the devolution settlement to ensure they are given every opportunity to prosper. The small businessman is someone the SNP Government sees as fundamental to stimulating a Scottish economy that has lagged behind the rest of the UK under Labour’s discredited policies, by listening and working together we intend to bring real prosperity to Banff and Buchan." Banff & Buchan MSP Stewart Stevenson today hailed the formal abolition of the Graduate Endowment introduced in 2001 under the Labour/Lib Dem coalition. From today 50,000 students will benefit from no longer having to pay the £2,289 fee. This key manifesto pledge for the SNP Government was one that was recently passed in parliament through support from the SNP, Liberal Democrats, Greens, independent MSP Margo MacDonald, and one Labour rebel, Elaine Smith. All other Labour and Conservative MSP ‘s voted against its abolition. "The scrapping of the Graduate Endowment is one that will be rightly welcomed not only by students but all sections of society in Scotland who believe in making Higher Education more accessible to Scotland’s youth and who have found an increasing debt burden in recent years. "Recent figures show that the average student debt has doubled from £2863 in 1999 to £5808 in 2007, a disgraceful legacy of the last Labour led Executive. The treatment of students by Labour both supporting the introducing of the Graduate Endowment and subsequently opposing its abolitions is a fact that will not be lost on the student population. "We know that the fear of debt is a real deterrent to many young people going to university and the scrapping of the Graduate Endowment will act to make academic study a more viable option for more young people in Banff and Buchan. "It is of fundamental importance that we address the skills gap in many industries and by making Higher Education more attractive we can work towards achieving this. By reducing the financial burden on students we can ensure that the youth of Banff and Buchan are given every opportunity to attain the skills and qualifications needed to develop long and fruitful careers." Banff & Buchan MSP Stewart Stevenson today hailed the introduction of new charges for prescriptions that will see the cost of buying some medicines in Scotland more than halved. The slash in prescription costs is the first step towards the SNP Government fulfilling its pledge to abolish prescription charges by 2011. As of April 1 2008 prescription charges will be reduced to £5.00, a cut of over 25 per cent, with further phased reduction towards a total abolition of the charges in 2011. Those people who suffer from chronic or long-term conditions will also benefit from an over 50 per cent cut in the cost of prescription pre-payment certificates. "The high cost of prescription charges has been at hot topic at my constituency surgeries and I am sure the people of Banff and Buchan will welcome what is the first stage in the abolition of prescription charges. "We see prescription charges to be in essence a tax on ill health and a potential barrier for many people who would otherwise seek medicine and medical advice for a variety of illness. We see any financial barrier to seeking healthcare as one that can have a negative impact not only on an individual’s long term health and wellbeing but also a factor that can potentially lead to greater pressures being placed on other areas of the National Health Service further down the line. "We believe in the right to healthcare provision irrespective of ones ability to pay and this policy will work towards matching that view. Our goal is to build a healthier nation and this is just one aspect of a wider programme to tackle Scotland shameful health record. "Alongside the reduction in prescription charges we have also seen an extension of preventative care and the promotion of sport and changes to our unhealthy eating habits. It is through making healthcare provision and medicine more accessible while targeting specific ailments and cultural traditions with respect to diet that the SNP Government aims to greatly improve the health and wellbeing of the people of Banff and Buchan." Infrastructure Minister Stewart Stevenson today welcomed the opening of the retail market for non-domestic water and sewerage customers, stating that it would be of major benefit to Scottish businesses. "The opening of the retail market for non-domestic water and sewerage customers is an exciting development for Scotland. For the first time all business and public bodies, such as schools and hospitals and Local Authorities, will have a choice of who supplies them with their water and sewerage services. This is the first time such market competition has been introduced anywhere in the world. "The role for the water industry is to provide high quality and efficient water services. Retail competition for non-domestic customers should lead to keener prices, innovation and improved customer service, thereby giving Scottish businesses a competitive edge, supporting our overall purpose of increasing sustainable economic growth." The retail market is open to all non-domestic customers - approximately 130,000 organisations. All suppliers require to have a license from the Water Industry Commission for Scotland. Four companies have acquired a license - Satec, Aquavitae and Business Stream (Scottish Water's arms length retail business) and Osprey Water Services, part of the Anglian Water Group. A license condition is that retailers must offer default tariffs and levels of service to all customers - this ensures that the quality of service is maintained and that no customer can lose out as a result of the introduction of competition.